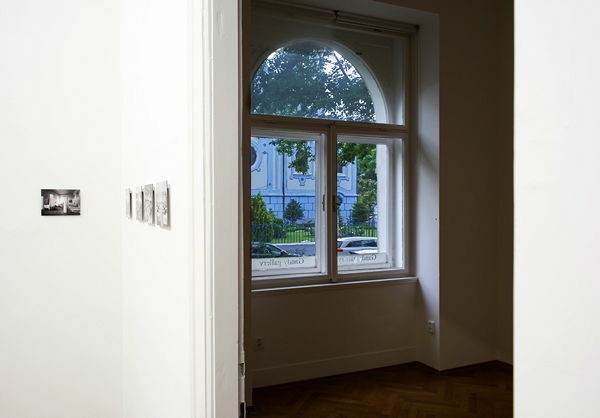 Danica Dakić's (1962*, Sarajevo) scope of work extends from video and film to photography and installation. Her work has been widely exhibited internationally. She has participated in many group exhibitions including documenta 12, Kassel (2007), Istanbul Biennial (2003), and (2009), Biennale of Sydney (2010), Liverpool Biennial (2010), Kyiv Biennale (2012), Marseille-Provence / European Capital of Culture, Marseilles (2013) und the Biennale in São Paulo (2014). 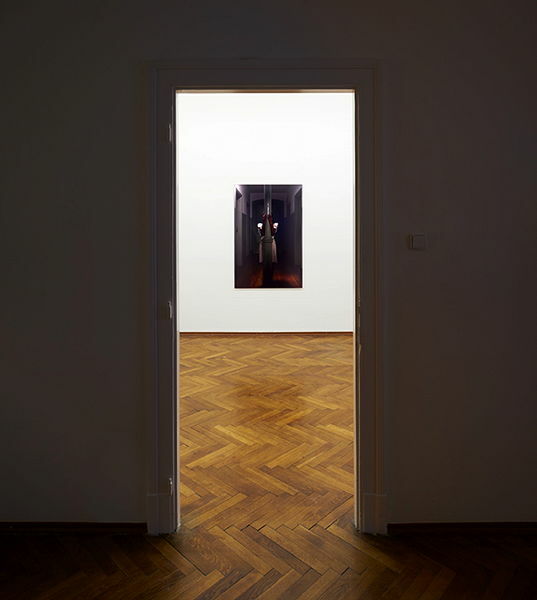 Her recent solo exhibitions include presentations at the Museum für Moderne Kunst, Frankfurt am Main (2013), Hammer Museum, Los Angeles (2011), Museum of Contemporary Art, Zagreb (2010), Generali Foundation, Vienna (2010), and Kunsthalle Düsseldorf (2009). She currently lives in Düsseldorf, Sarajevo and Weimar. 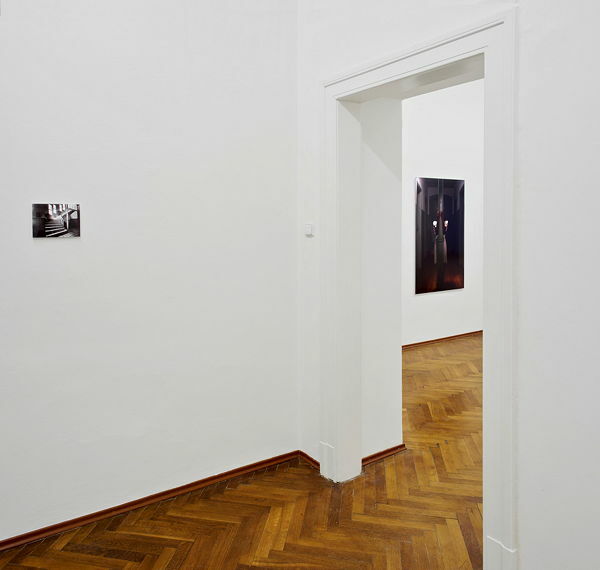 Allegories of transience and their visual equivalents play a central role in the work of Danica Dakić. 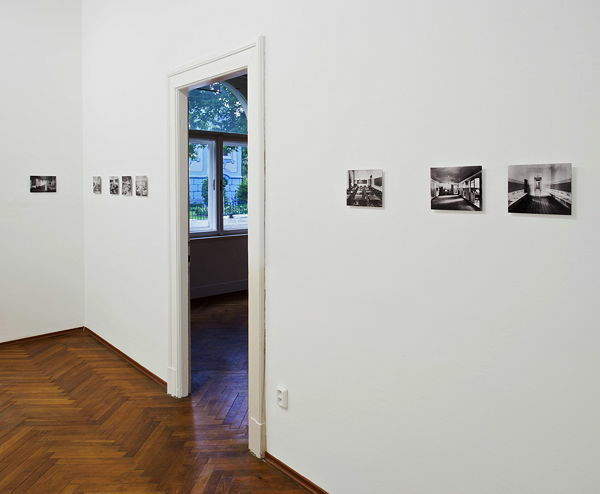 Using the media of photography, video, and film, her work is based on performative and collaborative processes exploring concepts of cultural memory and history as well as their ongoing changes. 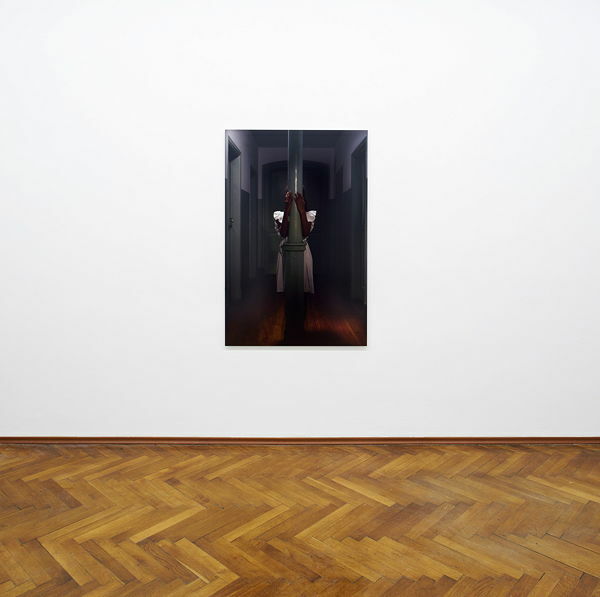 The Gandy Gallery is pleased to announce the third solo exhibition by Danica Dakić at the gallery in Bratislava. 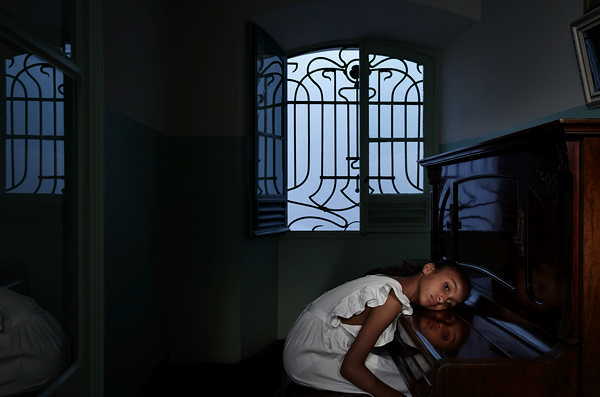 This exhibition presents video and photographic works related to the project CÉU. 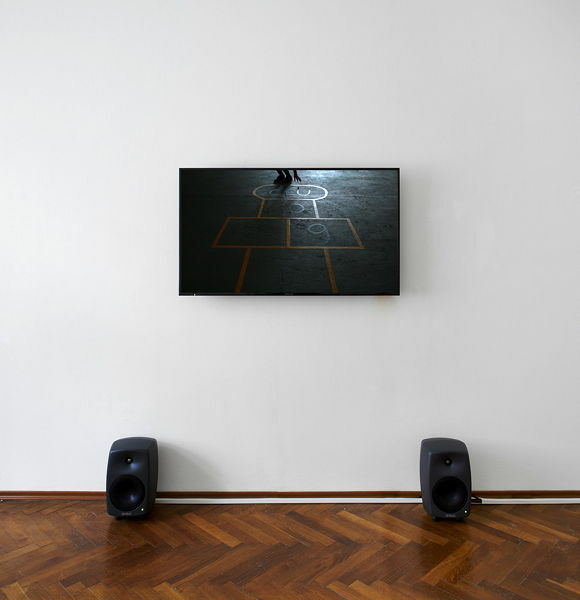 The starting point of the video CÉU (Heaven), commissioned for São Paulo Biennial (2014), is the space of Colégio de Santa Inês in São Paulo. 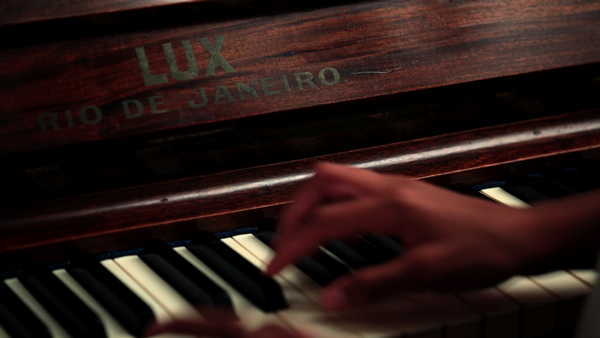 Founded in 1907, the Art Nouveau building of a traditional Italian school in a modern South American metropolis carries memories that can no longer be deciphered. The title of the video is the same as the last square in the hopscotch game. 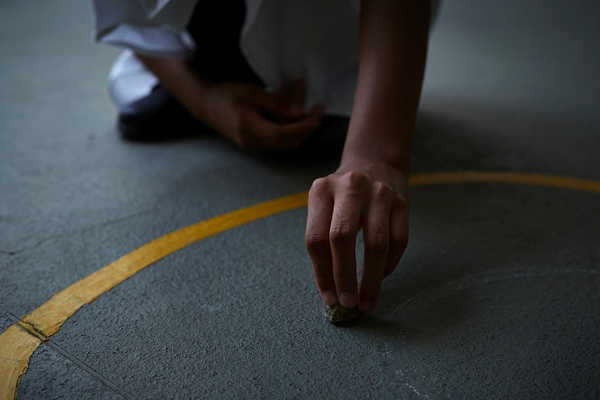 The narrative alternates sequences of a group of children in old-fashioned uniforms, an elderly nun and Yasmin, a little girl running around the building, playing the piano and playing hopscotch. 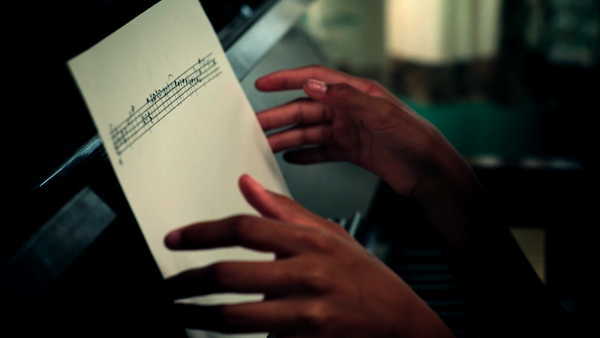 Different participants in different settings and times seem to exist paralelly, independent of each other, connected only by a musical theme1, Yasmin improvises on old school pianos. The scenes come together to tell an enigmatic tale by following migration of cultural patterns, values, and, believes. 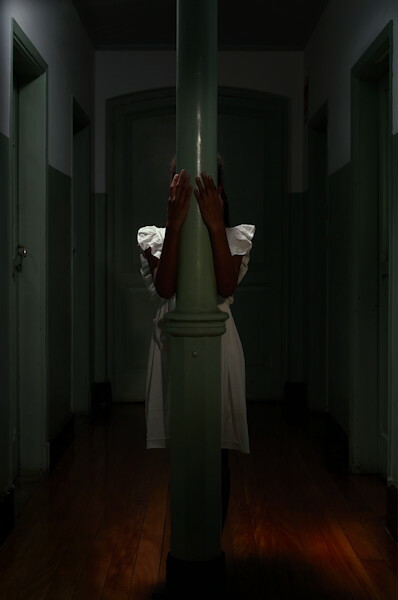 YASMIN (2015) is a photographic installation to be presented for the first time. It consists of a portrait of a little girl, accomponied by a series of historical photographs found in the archive of Colégio de Santa Inês. Yasmin’s performative action opens up the architectonic rigor of the empty rooms of the school - a poetic call for transition. The project was realised in an open process in collaboration with the children and the staff of the Colégio de Santa Inês, and the photographer Egbert Trogemann. The film set was used as a productive and fictional space to create a journey through parallel worlds and times in which ‘heaven’ is not only a square painted on the floor, nor the place of an afterlife concept, but a space of action, between a dream and trauma.